We remain committed to delivering high-touch boutique customer service while controlling costs through established processes and innovation supported by leading technology. Whether you’re preparing your first employee relocation services RFP or it’s time to change to a different Relocation Management Company (RMC), conducting a Request for Proposal (RFP) is a costly and time-consuming task. When you calculate the salaries and time each stakeholder spends on evaluating responses, corporations spend upwards of $100,000 per RFP. Meanwhile, the relocation industry is complicated in terms of types of vendors to choose from and their structures, revenue streams, technology innovation, supplier relationships, office locations, and service capabilities. If the process isn’t carefully structured to drive desired results, it can be a waste of time and significant sums of money. 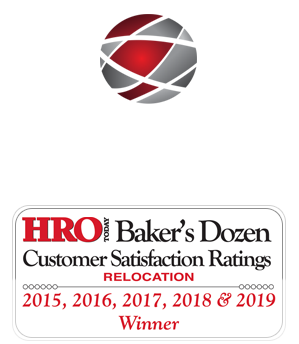 As an award-winning RMC in business since 1963, MoveCenter’s expertise working with managers of relocation programs gives us unique insights which we’re happy to share. We want to help you make your supplier evaluation process as easy and meaningful as possible for all parties. Start with these easy steps to get your team the necessary information to make fully informed decisions, in a cost-effective manner that drives meaningful results. Before you begin making a list of questions for your RFP, talk to your internal stakeholders. Clearly identify what you need, who is affected by the decision, and what the budget is. Identifying these crucial factors upfront will save you countless miscommunications and setbacks later. Ask your stakeholders what criteria should immediately eliminate potential suppliers. Don’t forget to include IT and Legal. What Kind of Supplier Do You Need? A relocation company (otherwise known as a moving company) how about: A vanline which refers to itself as a “relocation company” may not offer all the help you need. Don’t be misled by a name. A Relocation Company typically offers household goods and possibly some limited destination services. A Relocation Management Company will provide comprehensive relocation services (including management of relocation/moving and destination suppliers). Your Relocation Management Company will also assess relocation service providers and the value they offer, making recommendations for new service providers when appropriate. Ask what the end goal is. What does success look like? Define items of importance in achieving success. If your company has had a relocation program for a long time, you may know just what you need and how you want your program structured. You may have internal staff dedicated to global mobility and need a RMC that compliments their roles. Or perhaps you have an in-house program and only need a third party for HomeSale benefits. But, if your company is new to the global mobility world, you may need a RMC that excels in advisory roles and has experience with companies outsourcing for the first time. Being honest and upfront about your knowledge level or the amount of help you need can help streamline the selection process. If stakeholders could wave a magic wand, what would they wish the supplier could do (or not do) to make your relocation program run perfectly? Get input from IT, HRIS, payroll, accounting, recruiting, and other areas affected by relocation. Assign key stakeholders as judges and other stakeholders as influencers. Appoint someone to be responsible for answering suppliers’ questions. 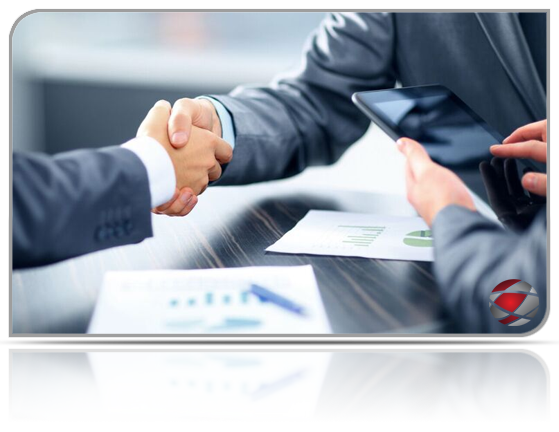 Obtain executive level support and participation from someone with the interest and authority to be internally responsible for making sure the process keeps moving. Make sure your proposed timeline dates won’t be negatively impacted by vacations or other projects the stakeholders are responsible for. Sadly, many RFP decisions get put on hold, never to be resurrected. Are you going to evaluate the RMC’s fees or total program costs? Some RMC’s offer low cost, or even free, services, then make their money by adding fees to second tier supplier invoices. Decide whether or not you will include pricing scenarios in your RFP and if so, will they be fictitious examples or historical moves to compare against your current RMC’s actual invoices? Gather historical program information on volume and total spend. How many initiations did you have for domestic and international moves? How many short and long term assignments? How many home owners vs. renters? How many lump sums (distinguish between a straight lump sum payout and a managed lump sum program)? Which cities are popular destinations? What is your total annual spend? Will these trends continue or are your volumes and spend expected to change? How much do you want to outsource? 1. The RMC handles everything. 2. The RMC provides the support structure, working closely with your internal relocation staff members. 3. The RMC works in a limited capacity, providing specific parts of the process. In addition to corporations spending upwards of $100,000 on a single RFP process, prospective suppliers easily spend $5-35,000 to prepare a single RFP response. Once you have your deal breakers defined, you can save all parties time and money by starting with an RFI to ensure that all RFP respondents are real contenders. Create a list of closed ended questions for your deal breakers. Add a short list of questions regarding items of importance allowing very short responses that can be answered and scored quickly. You can learn about the RMC’s company size, annual volume, services available, global reach, and company culture. This can help you narrow the list to RMC’s that meet your criteria for a more complex RFP. Be mindful that the purpose of the RFI should not be to learn all about the respondent. It’s a short, high-level at-a-glance document to separate prospective suppliers into two categories: invite to participate in the RFP and not a good match for your needs today. Ideally, after the RFI, you should have 4-7 candidates to invite to the RFP round. It’s not uncommon for RMC’s to receive RFP’s that include a list of questions taken straight off the internet and sadly, some of these have 100’s of questions. This causes several problems, including the corporation receiving more information than they can possibly digest in a way that leads to a logical conclusion. With long RFP’s, it is not unusual for a corporation to extend or postpone the RFP process after receiving the responses, due to information overload. Avoid this situation for your company by deciding what is most important for you to know. Limit the number of questions you ask to those that are focused on your specific program objectives. Ask yourself, why are we including this question? If you don’t have a clear answer, do not include the question. If you would like some sample questions in an editable format that you can customize to meet your program needs, please Contact Us. We’ll be happy to provide them upon request.